When the Canon EOS R full-frame mirrorless format was announced, some questioned what the future would be for its smaller APS-C powered EOS M system. Canon has insisted that EOS M is still an important part of the company’s larger ecosystem, and sales of the format certainly bear that out. 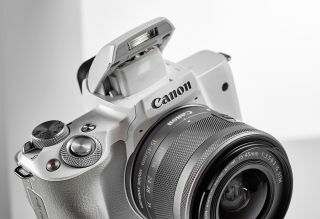 Indeed, for the month of September, the Canon EOS M50 was the best-selling interchangeable lens camera (ILC) in Japan – outselling all other DSLRs and mirrorless cameras. According to nationwide sales data compiled by BCN Retail, the Canon EOS M50 (branded in Japan as the EOS Kiss M) was both the first and third top selling camera in Japan, in white and black colorways respectively. On top of that, the Canon EOS 800D (aka the EOS Kiss X9i) and the Canon EOS 200D (EOS Kiss X9) took the respective second and fourth slots, meaning that Canon has the four best-selling ILC bodies in the country. This is a victory for the EOS M50 (and the EOS M format), placing it ahead of Nikon’s entry level DSLRs like the Nikon D3400 and Nikon D5600, the Olympus OM-D E-M10 Mark III, and way ahead of the Sony A7III, which surprisingly only ranked 28th in sales. With performance like this, whatever the future of the new full-frame format, it seems safe to say that Canon’s smaller mirrorless system is still here to stay.